Brose Bamberg has just gotten on the right track but will have to cope with a new obstacle. 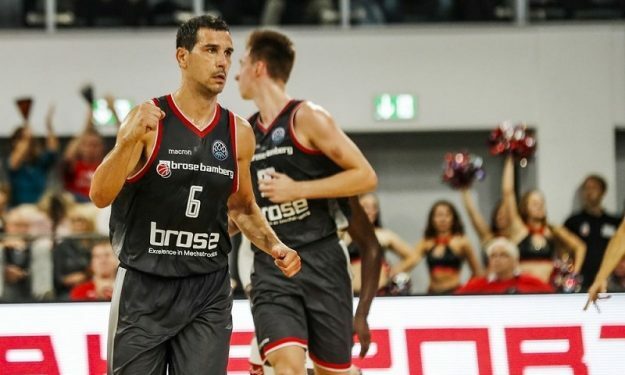 Brose Bamberg bounced back with a win against JDA Dijon in the Basketball Champions League but a new problem arose for the squad in front of the upcoming Wednesday clash against AEK as Nikos Zisis won’t join them. Nikos Zizis will be out for two or three weeks due to a knee injury he suffered in the German League game against Bremerhaven. The 35-year-old veteran scored 24 points and dished eight assists in total in the two BCL games Brose played so far.